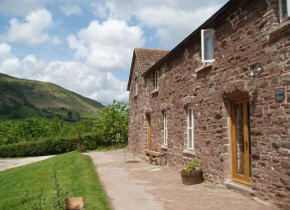 Llanthony accommodation in friendly Llanthony hotels, B&B, Bed and Breakfast, homely Guest Houses, cosy Holiday Cottages, congenial Country Pubs and Inns, luxurious Country House Hotels and Caravan and Camping sites. The Halfmoon Hotel Offers basic but comfortable accommodation with fantastic views from every room. No light pollution here, just the sound of sheep and owls in the night. The hotel has a large public lunge bar with a real open fire in winter and walking boot friendly natural flagstones on the floor. We have a good selection of beers, cider, lager and spirits. Bar meals are served most evenings from 7 till 9pm. WITH A FULL ENGLISH BREAKFAST. Lower Stanton is nestled in the foothills of the Brecon Beacons National Park close to the river Honddu. Enjoy a quiet and peaceful stay on a working 80 acre mixed farm in a family environment. 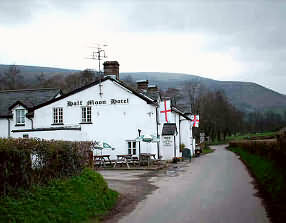 Within easy reach of the Offa’s Dyke footpath and is ideally situated for exploring the Black Mountains. 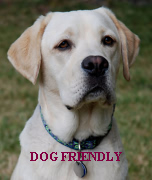 It has easy access to golf, fishing and pony trekking with a wealth of local pubs and restaurants. Your stay would be in a period farmhouse with original character oak beams and stone walls. There are two en-suite family rooms which can also be used as double or twin rooms, both with television and tea and coffee making facilities. Lower Stanton Farm Self-catering cottage - sleeps 4/7. Tariff:- Bed and Breakfast from £25 pp per night. Children reduced. The Llanthony Valley, regarded by many as the loveliest valley in the Breacon Beacons National Park, is easily accessible and yet remote. A narrow winding road, off the A465 Abergavenny to Hereford Road, meanders through a valley of contrasts, reaching it’s scenic climax at Gospel Pass then dropping down into the world renowned second hand bookshop town of Hay-on-Wye. The Smithy: Award winning medieval cottage and forge. The Smithy has beamed pitched ceilings, floors of polished wood and flagstones, with under floor heating. Comfortable sofas and open hearths enhance this lovingly and imaginatively restored house. The Smithy was a Weaver and Dryers Mill until the 19 th Century, from then it became Walter Savage Landor’s forge. The property was the winner of the Traditional/Period Living Renovation Award. The cottage has 3 bedrooms and sleeps 6 plus a cot. Ty Hwnt: A beautiful detached stone farmhouse, which was featured in “Country Living Escapes”. Set in four acres, the farmhouse offers peace, no sound other than the bleating of sheep and bird song. It is haven for artists, ornithologists, writers and those just wanting complete relaxation. The next-door farm (½ mile away) offers pony trekking, free-range eggs and goat’s milk. 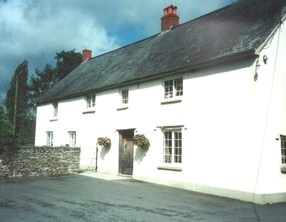 The farmhouse has 3 bedrooms and sleeps 6 plus a cot and child’s bed. To book contact Gaynor Elliott by telephone.